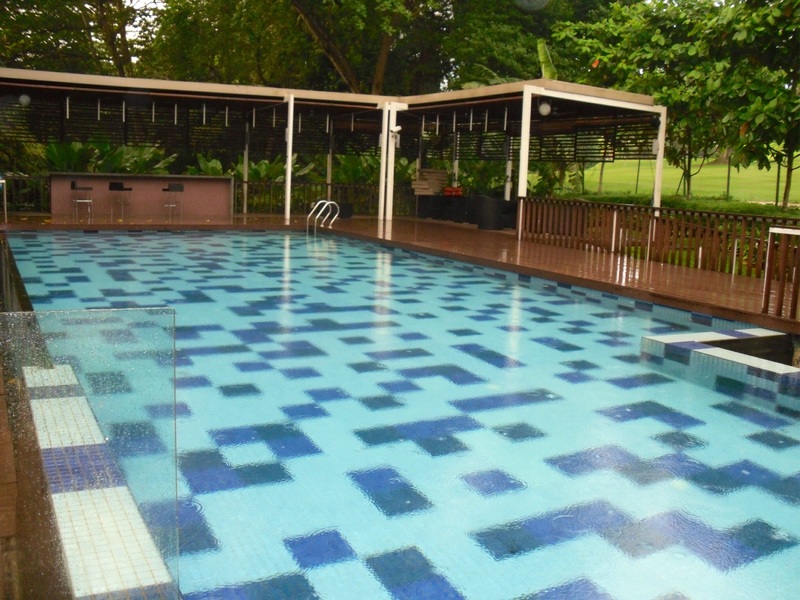 Village Hotel Changi makes an overnighter easy and affordable. Singapore airport has more arrivals than almost any airport in the world. 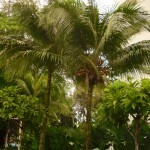 Many people stay overnight in Singapore to break their journey, to or from Europe. 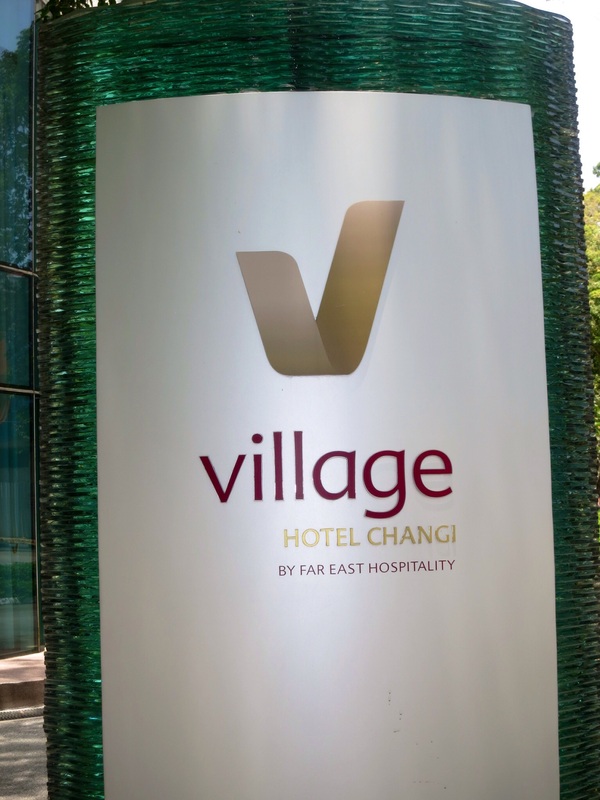 Whenever we‘ve had an overnighter here, we find the Village Hotel Changi, formerly known as the Changi Village Hotel, to be an excellent choice. 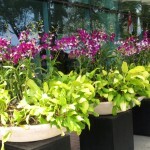 For starters, the hotel is only about a 15 minute (under 20 Singapore dollars) taxi ride from the airport. 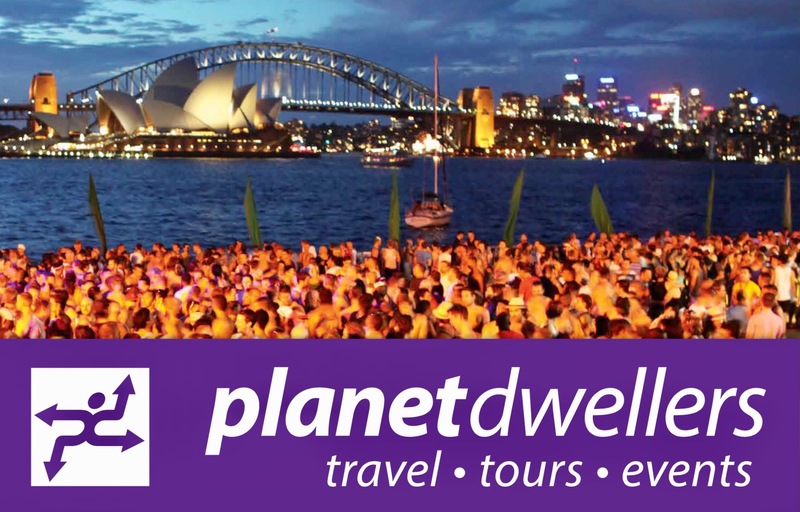 The hotel check in is very friendly and efficient and the staff are keen to make your stay as pleasant as possible. The hotel’s rooms are what we would describe as a good traveller‘s standard. 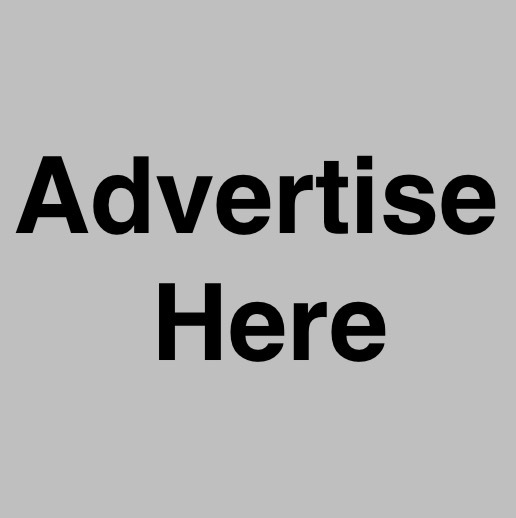 The pillows and beds are very comfortable, rooms are quiet, air conditioned and decorated in modern light tones and the free wifi works well in all areas. 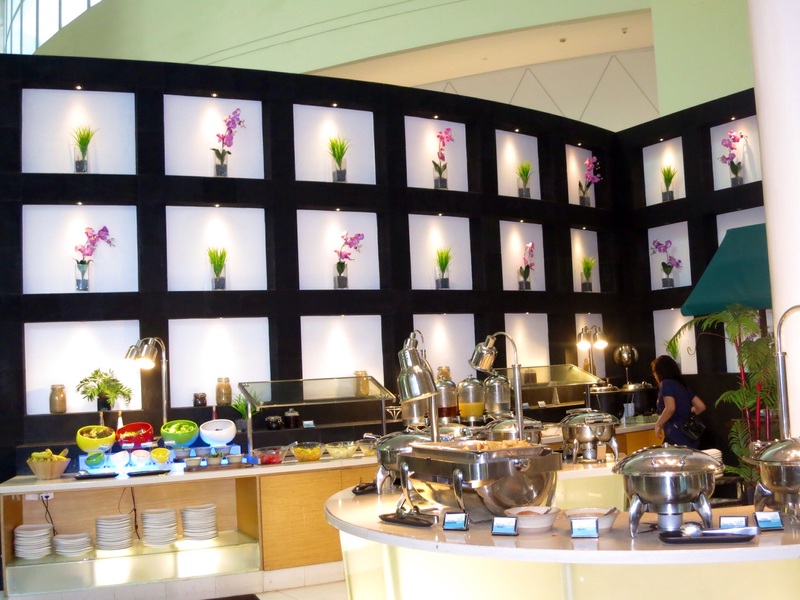 The breakfast buffet in the Saltwater Cafe has an extensive selection of western and Asian foods. Some of the dishes we tried were the Otak Otak (fish in banana leaves), the sweat potato congee and the beef balls in fish sauce, a little different to our usual bacon and eggs. The breakfast buffet opens early which helps when catching a early morning flight. There are also two other restaurants in the hotel ‘La Cantina in Venezia’ and Choubei Japanese Restaurant. 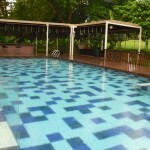 This 380 room hotel is also priced well compared to many other hotels in Singapore.  The hotel runs a complementary shuttle service to and from the airport and we have found it safe, reliable and highly efficient on every visit. 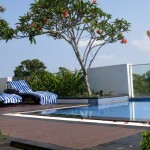 Be beside the pool with a cool drink in your hand under an hour after your arrival at the airport. A great place to lie flat for awhile before leaving on the next sector of the journey. 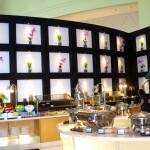 The breakfast buffet provides a wide variety of Asian and Western choices. 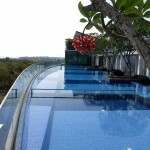 The hotel has another stunning pool on the ground floor. 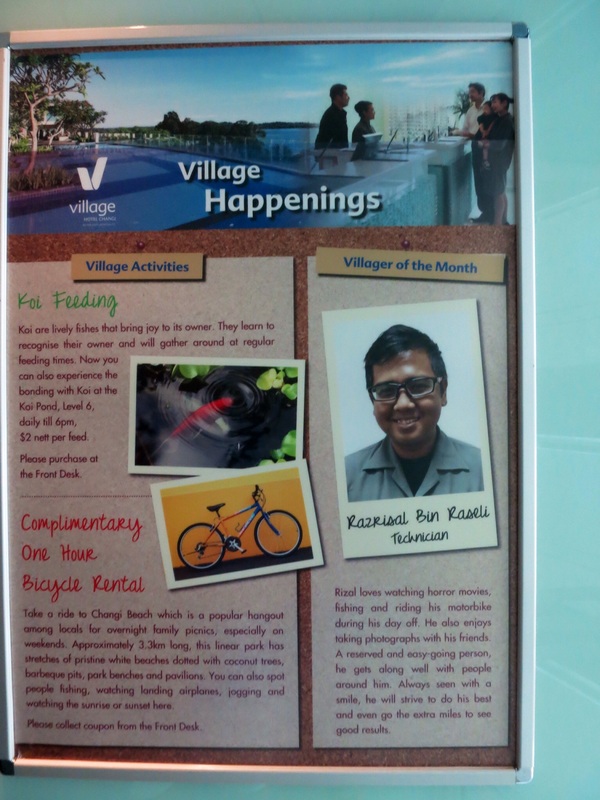 There are some pleasant surprises when staying at the Village Hotel Changi. 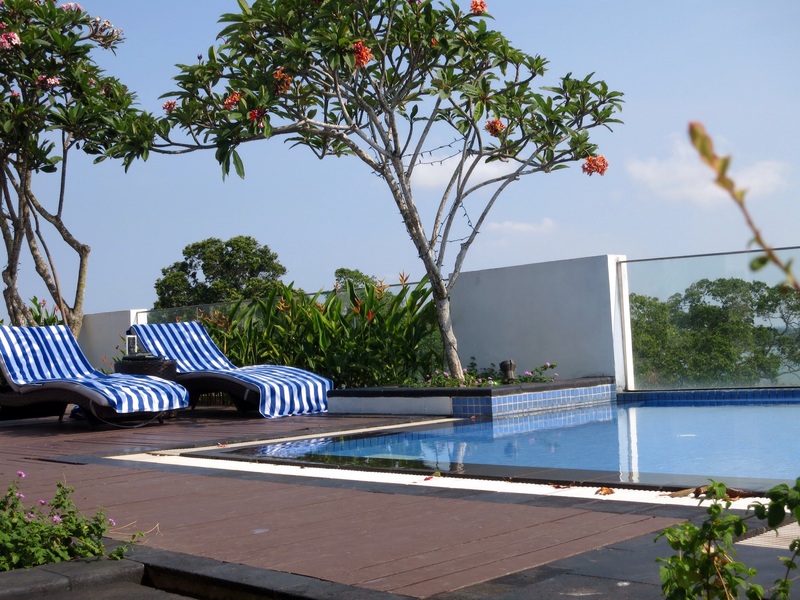 For starters there are two beautiful pools in this hotel and the fantastic rooftop pool is a wonderful way to unwind after a long flight. From touch down at Singapore airport we were in the pool within the hour, enjoying a cocktail and looking over the view of steamy Singapore harbour. 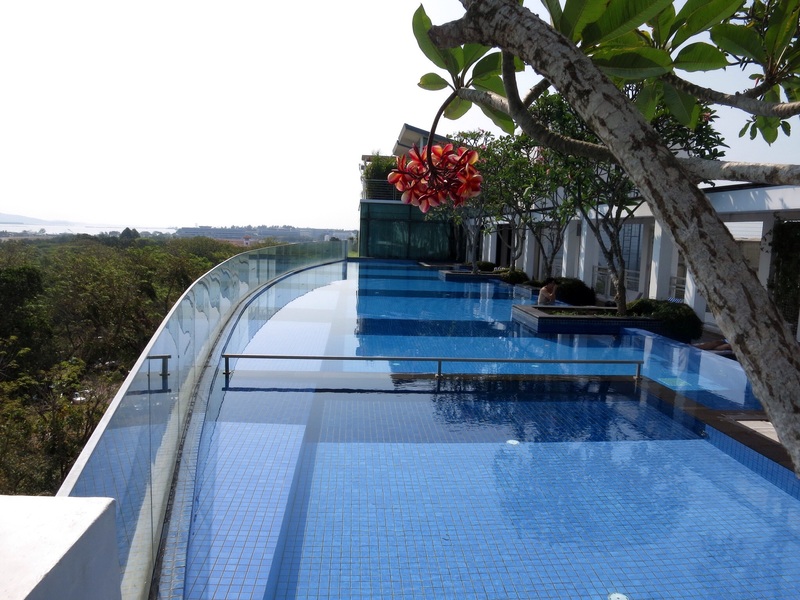 The sleek modern pool is the ultimate in relaxation and great for sneaking in a few laps. 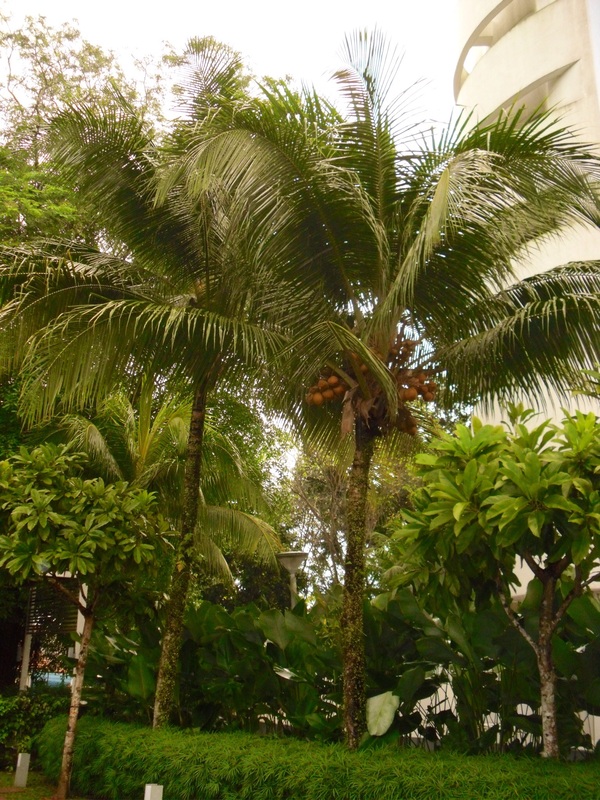 Also for the fitness conscious, the hotel hires bikes and there are plenty of interesting places to ride safely in nearby Changi Beach Park. Best of all however are the busy, local restaurants just outside the entrance to the hotel. The Hawkers‘ Centre has dozens of places to eat well and they are very reasonably priced. The food stalls are crowded with hundreds of people sitting on benches sharing a meal with family and friends and enjoying themselves in the warmth of Singapore’s tropical evening air. 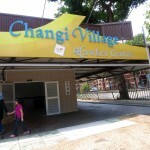 Many of the stalls here serve Malay style cuisine and Changi Village is hailed as a nasi lemak haven by most locals. One of the best known stalls in the centre is International Nasi Lemak, famous for their crispy and juicy fried chicken and lemongrass coconut rice. 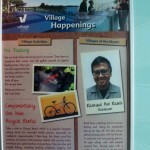 Changi Village provides a window into local life in Singapore. 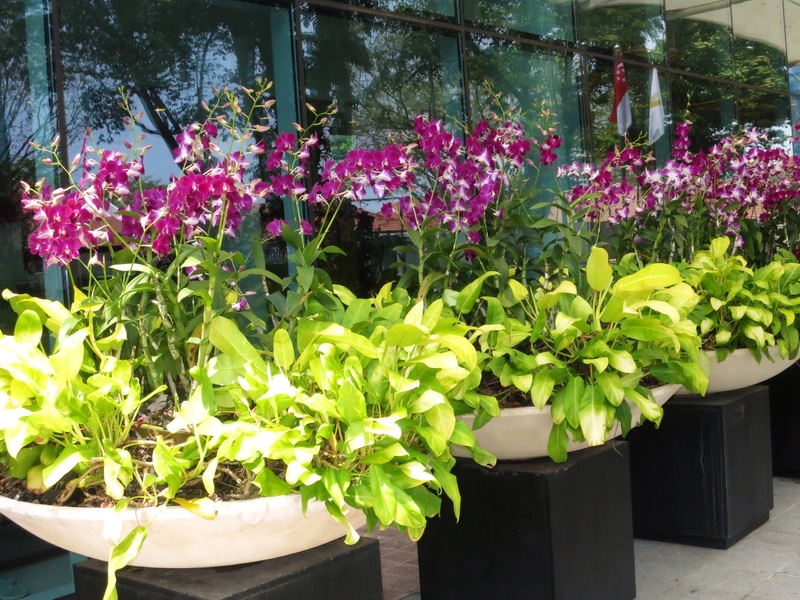 Stunning Singapore orchids surround the entrance to the hotel. We decided to eat at the slightly more formal Ubin First Stop Restaurant. This open air eatery is best known for its seafood. The chilli crab and the butter prawns are delicious. This place is a little more western by comparison but the food is delicious and quite spicy. The restaurant snuggles up closely to the national park and while you’re eating you can watch people crossing the footbridge on their way to take a stroll by the beach in the evening. All along the water’s edge hundreds of locals bring their tents to camp for the night and eat dinner by the seaside. 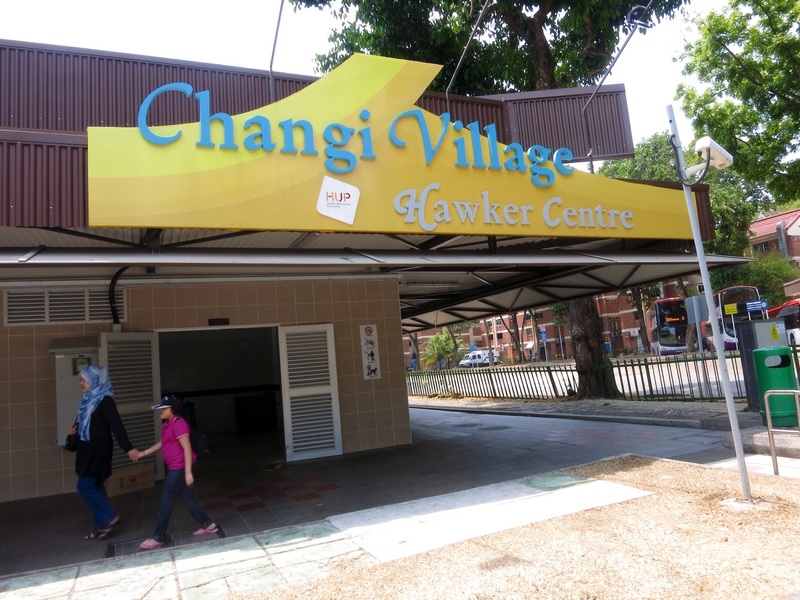 On Saturday evenings the Changi Village area is teaming with people, both local and international, and there is karaoke and other forms of entertainment in the centre of the market and outdoor shopping area. In the car park much later in the evening, you might spot the local ‘girls’ dusting off their wigs. 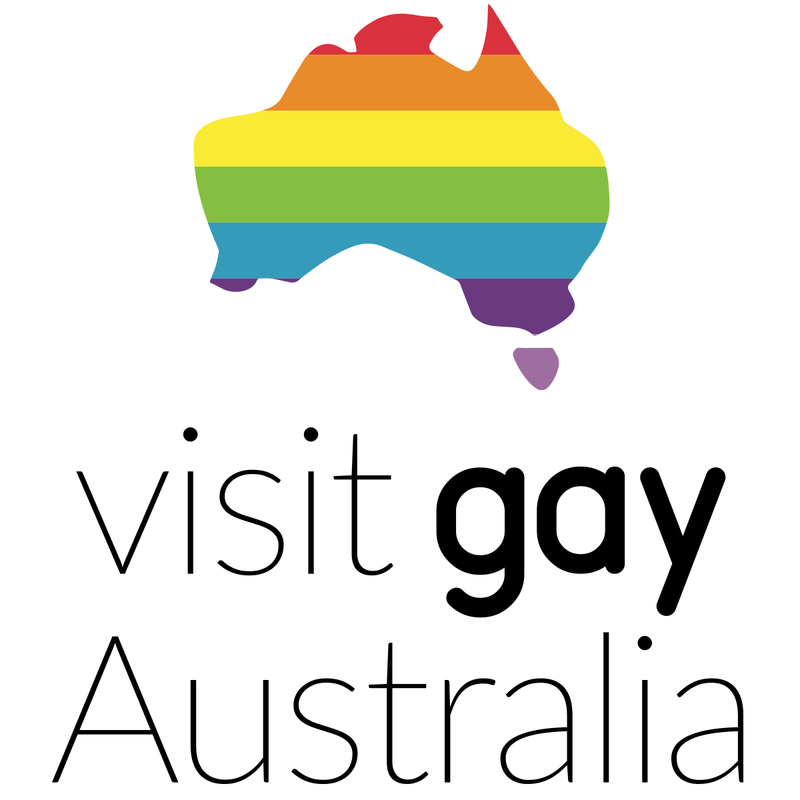 This area is quite famous as a place to see the local trannies parading in all their sparkling glory. 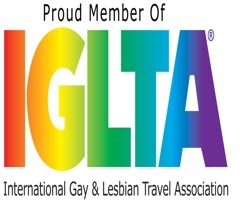 Also, a lot of gay guys from around the island choose to come here to use gay.date.com and hook up with other gay Singaporeans in the relative safety and privacy of Changi Beach Park. 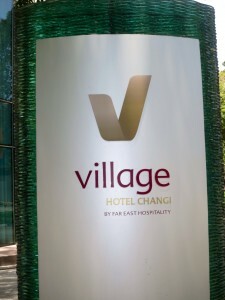 Whether you come here to break your long haul journey and lie flat before the next sector, to sample the succulent fried chicken or to experience the bright colourful Asian night scene at your doorstep, the Village Hotel Changi is a great choice when you only have a brief stopover in Singapore.